Sarah Palin – What A Great Choice! It is now official! The Republican ticket is now McCain/Palin. Sarah Palin is the ultra popular, one-term Governor of Alaska. I am very pleased and excited by this pick. While myself and many others pushed for and hoped for Mike Hukcabee to be VP I think this choice may have been McCain’s best option. Yes, part of the decision was based on the fact that Palin is a woman but I think it is more complex than that. Through the Summer the Conservative base has been very lathargic and tepid in ther excitement. I could see it through the media and I got to see it first hand when I attended a Walton County (GA) GOP BBQ on Memorial Day Weekend. Almost instantly the base has been charged and jacked up. I have received multiple press releases (too many to share here) from Conservatives and Conservative groups and the excitement could not be any higher about this pick. There is also a surprise factor here. This was not expected at all. Palin was not really in the discussion at all. She was almost completely off the radar screen. My jaw literally hit the floor as I heard the possible news on TV this morning! Maybe the most shocked and pleasantly surprised are Huckabee supporters. After a sleepless night of dispair we have awoken to joy and ecstacy over McCain’s choice. While a Romney or Huckabee choice might have benn a good one choosing one of them over the other would have continued the schism (and maybe exacerbated the situation). It is very clear that all sides are now untied together to support the ticket. That was not case in the Democratic Party afterr Obama’s pick of Joe Biden. From our prespective we see Sarah Palin as one of us. She is a member of the new breed of Republicans trying to take the party back from corrupt country-club conyism and handing it back to the people (as Reagan did). Palin has fought corruption tooth and nail. She has fought pork and tax increases in a big way in Alaska (against her own party). She is also 100% Pro-Life and a proponent of off-shore drilling and fighting for our energy independence by any means necessary. While it might not be Huck, McCain has made an awesome choice! I therefore endorse the ticket with my whole heart! John & Sarah – This member of Huck’s Army is reporting for duty! VEEPSTAKES – John McCain Chooses Governor Sarah Palin!! 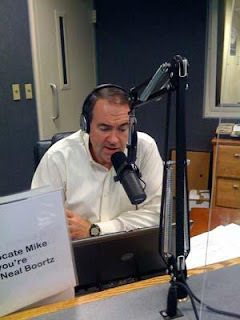 There was a reason I did not comment further on the previous post last night with the news that Governor Mike Huckabee was not McCain’s choice. First of all I was not in an emotionally stable mindset to post something that made sense logically. Another reason is I wanted to wait to hear who the actual choice would be. Numerous sources now claim that Senator John McCain has chosen Alaska Governor, Sarah Palin as his running mate. It is very ironic. About a year ago in a blog roundup I shared a link to a blog that campaigned for Palin to be the VP choice of whomever won the GOP’s nomination. I am extremely pleased. I really like her a lot. McCain has made a fantastic choice! More on this later…after I return from lunch.